Secret Photos help you hide your private photos. Secret Photos help you build a list of folders, which you can check photos separately with a simple click. 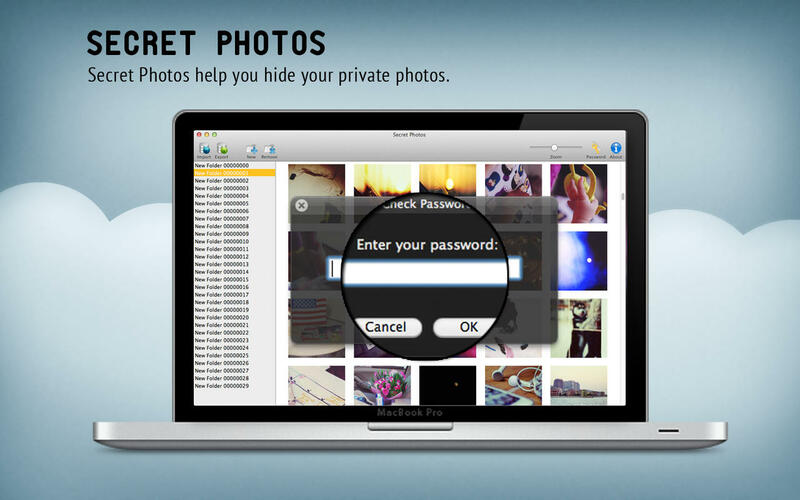 Secret Photos can be password-protected. So other person will not to open a photo he/she cannot see or knows about. 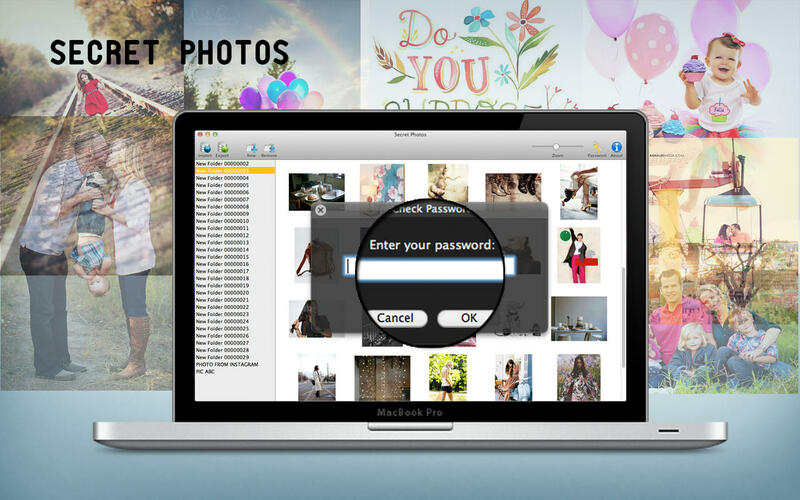 Secret Photos provide a perfect solution if you wish to prevent other users to view, open, or change photos while using your Mac. Secret Photo make working with private images was never so easy. Secret Photos will avoid embarassing situations. So you can enjoy the photos just yourself. Easily store private photos inSecret Photos. The app takes advantage of the latest technologies to provide a both convenient and secure way of accessing private files. You can add all photo types you can think of to the app. This includes not only regular pictures and images but also your latest Adobe Photoshop™ creations and much more. In addition to that, Secret Photos is also able to view nearly every photo type. Within the app you can preview your photos and photoshop files at the same time. After adding files to the app they are password-protected and can only be accessed by entering a user-defined password. This helps to prevent other people from seeing private photos and ensures higher protection against thefts. -Doesn't need other image viewer to browsing, so you don't worry about the tracking history. -Add as many folders as you like, so you can arrange them well.